Machine builders and OEMs are increasingly turning to robust HMI platforms for their machines, in order to offer more value to customers. The need for intuitive HMIs on machines has created a huge market incentive to ship machines with a platform that is easy to use, capable of communicating and integrating with other hardware and software systems, easily customized, and secure. These powerful HMI platforms for OEMs and machine builders also make it possible to standardize HMI applications across product lines, across entire plant or even across multi-plants. The most important feature of an HMI is the ability to help machine operators interact directly with the machines they use. This interaction requires robust, intuitive interfaces that give operators the information they need in a way that can be understood quickly. This interface should also provide the operator with ways to carry out commands, such as starting or stopping a process, acknowledging alarms, or manually adjusting settings on the machine through the HMI. As industry embraces new technology, this interaction will be increasingly accessible through touch or voice activated interfaces, or even on mobile interfaces that are shared to a portable device via a thin client. Operators may require the capability to monitor or manage their machines without even being physically at the machine. Wonderware software enables machine builders to offer machines with intuitive operator interfaces, with the capability to share information to mobile devices, or amongst maintenance staff off-site. Many machine builders and OEMs have developed template applications with Wonderware software, allowing them to quickly develop HMIs for their machines and individualize them for customer requirements. Wonderware software makes it simple to develop an application, then change color schemes and logos globally within the application. This makes it easy for machine builders to offer powerful HMI solutions that can be easily configured for each customer. The ability to make HMIs consistent across a product line will also familiarize operators with the HMI and reduce the learning curve in their effective usage. In addition, Wonderware software offers many opportunities to customize displays for customers by creating applications that include digital I/O displays, motion capture and voice interfaces for hands-free operation, and menu navigation systems. Because technology is not static, there is inherent risk to customers in which the software is rendered obsolete or outdated yet the machine itself is still operational. To avoid tying machine builders to one operating system or HMI software version, Schneider Electric has designed Wonderware software with 100% backwards compatibility in mind, as well as an open architecture that will allow OEMs to develop applications for their machines with certainty that their interfaces will not be rendered obsolete if they choose to update to a newer version of Wonderware software or develop the application for a newer version of Windows. Machine builders may also want the capability to change or update machine components over time. For this reason, Wonderware software offers over 240 native protocols to every major manufacturer of PLCs and controllers, allowing machine builders to upgrade machines for their customers should they choose to use a new PLC, or components using multiple protocols within the same machine. OEM customers demand machines that are able to communicate with the software and systems they already have in place. They expect machines to integrate with an ERP, MES, or communicate back and forth from PLCs or a SQL database. Wonderware software also integrates easily with PLCs for servomotors, stepper motors, Pick and Place PLCs, and more. To ensure that machine HMIs offer this easy integration to OEM customers, Schneider Electric has developed software based on open architecture that adheres to multiple standards for communication with others, and a patented SQL database connectivity. Machine builders are increasingly offering support beyond the sales of their machines. 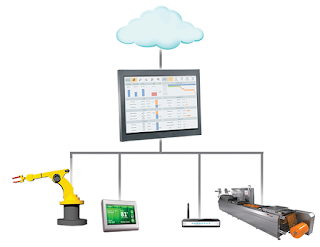 There is a growing trend in machine support and maintenance, thanks to the possibilities opened up by cloud computing and connectivity capabilities in HMI software. Wonderware software makes it incredibly easy to develop connected, smart HMIs that can give OEMs and machine builders remote access and monitoring capabilities for machines, allowing them to offer preventative maintenance, quick troubleshooting tips, or the ability to access machines and screens remotely. Wonderwaresoftware enables solutions for each stage of your machines’ lifecycles. 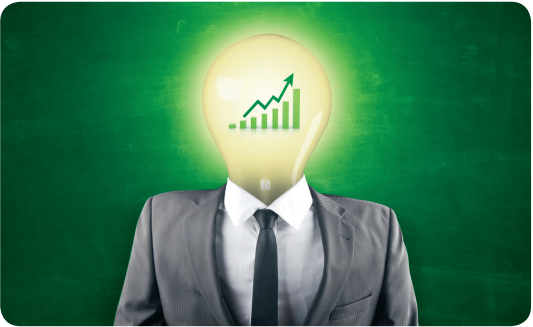 The Wonderware suites of products give you a competitive edge from small embedded HMIs to large distributed solutions. Sign up to get weekly HMI/SCADA related articles ( http://www.wonderware.com/wwtimes/) in your inbox.